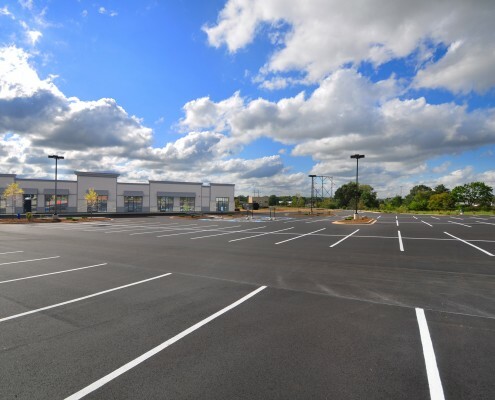 Asphalt Paving Lake Geneva, Wisconsin | Asphalt Contractors Inc.
There’s truly no better choice for asphalt services in SE Wisconsin than Asphalt Contractors Inc. Our asphalt paving team serves homeowners and businesses throughout Walworth County. We know your asphalt project – small or large – is an investment, and we don’t plan on letting your money go to waste. We’ll design the perfect schedule and application process for your lot or driveway to ensure better looking, longer lasting results. Pavements installed by ACI require less maintenance than those installed by unqualified contractors. Additionally, the same incredible contractors that install your pavement will be there to maintain it too. We’re happy to manage your seal coating, crack filling, asphalt patching, and striping needs. Give us a call to learn more or to get an estimate! Our Contractors are Concrete Pros too! Lake Geneva is home to some of Wisconsin’s most beautiful homes. If asphalt does not meet your aesthetic needs, we’d love to discuss your concrete options. Concrete costs more to install than an asphalt pavement, but it requires little to no maintenance and can be customized to fit your style preferences. Our contractors can help you design and install concrete walkways, driveways, parking lots, curbs, and more. If you’re working on a commercial or residential building project and have concrete and asphalt waste to dispose of, we’d be happy to help! We offer mobile crushing services and can bring our equipment – capable of crushing 3,000 tons a day – right to your job site so that waste aggregate can be crushed properly for reuse. Alternatively, we can also transport your waste back to our Union Grove crushing site and recycle it. If you have questions or are interested in getting an estimate for service, don’t wait to contact us!